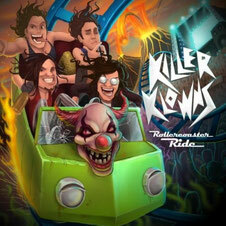 KILLER KLOWNS is a Brazilian hard rock band started its activities back in 2007. The band has alredy released 2 EPs and the first full length album called "Rollecoaster Ride" contains 11 songs from Defox Records and Heart Of Steel Records in March 2012. This album is created like a live album and you can feel you are almost at their concert to hear. Now it is available at every online stores such as iTunes, amazon, Spotify, Emusic, Deezer and many more. This Brazilian four piece emerges on the scene with a nice slab of traditional Hard Rock flavored glam street on catchy songs. The band made several outstanding performances, among them the opening to Dr. Sin in Uberlândia, Lizard festival in Cuiabá, the festival Jambol in Uberlândia, Arraial From Rock in France and the opening to the Virgins in Uberlândia. 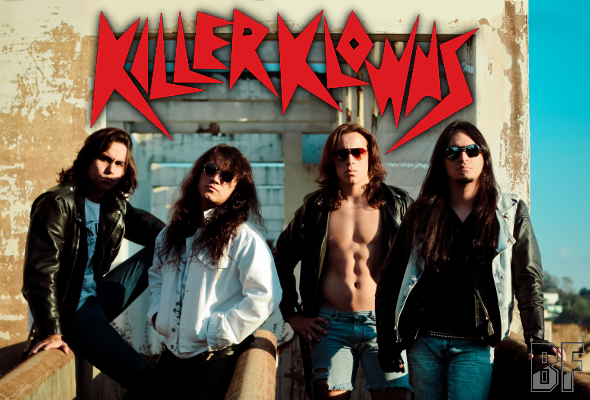 KILLER KLOWNS participated in a collection of Hard Rock music in Minas Gerais with "Everytime", with most other very strong bands.